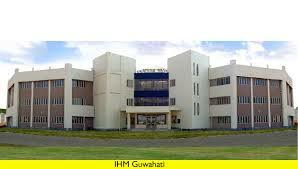 Institute of Hotel Management-Guwhati, formerly food craft institute was set up in the year 1984. It is a joint endeavor of the Govt. of Assam and the Govt. of India. Ever since its commencement, the college has been on the path of success with its world class education in the field of hotel management. The institute is known for covering almost entire spectrum of education in hospitality administration. It is affiliated to the National Council for Hotel Management and Catering Technology (NCHMCT), Ministry of Tourism, Government of India. If you think that you have a hidden talent and can do much better in hospitality administration then IHM-Guwahati can assist you through its wide range of courses. The institute offers three years full time under graduate course of B.Sc in Hospitality and Hotel Administration, which is National Council for Hotel Management & Catering Technology (NCHMCT) and Indira Gandhi National Open University. The admission is done on the basis of the Entrance Examination which is conducted by the college. At Institute of Hotel Management-Guwhati, the aspirants are trained by well qualified professionals having excellent experience in the field of culinary art. The college also has numbers of kitchens that are used for training students about preparation and cooking of multi cuisine foods. It also provides separate hostel facility for boys and girls. I have completed my BSc.degree with 1st class, i want to do hm. So what should i opt???? I have given the entrance of NCHMCT and got 8546 AIR can i get admission in IHM GUWAHATI???? ?